How do your contract container freight rates compare with your peers and the wider market? 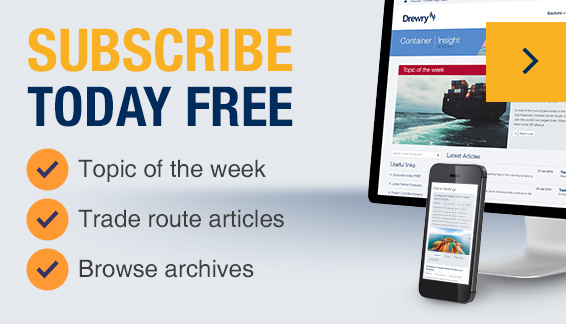 Drewry’s Benchmarking Club provides members with the opportunity to confidentially benchmark their contract shipping costs against their peers – based on genuine, shipper-only, buy rate comparisons. New feature: Now benchmarking contract BAFs every quarter on the major East/West routes. Exclusive Reefer Benchmarking Club also now available (since Sept 2017). Contact us for more information.